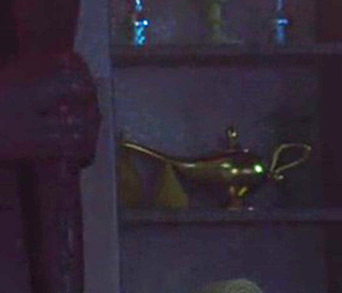 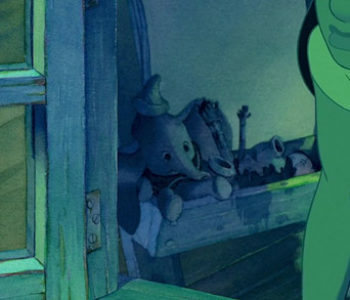 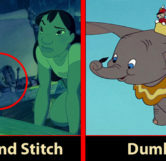 A Dumbo doll can be seen multiple times in Lilo's room. 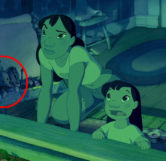 In Lilo’s room on her easel you can see a Dumbo doll multiple times throughout the movie. 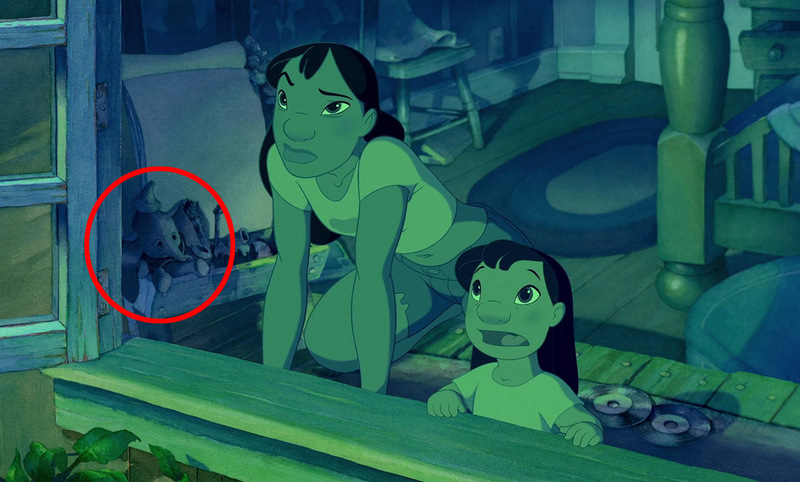 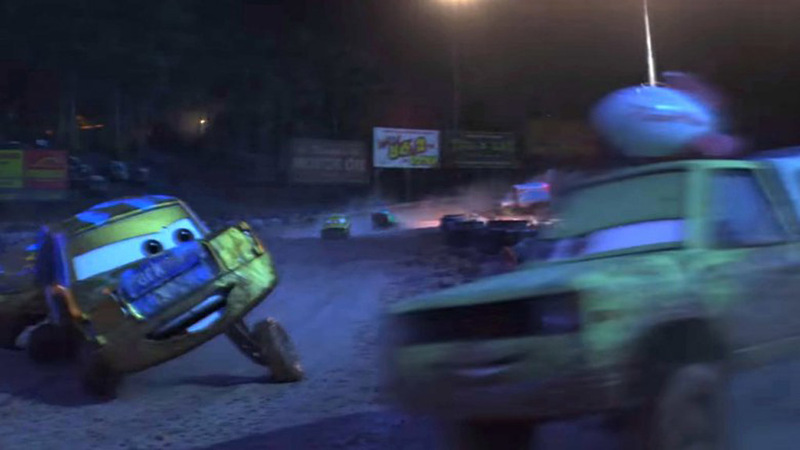 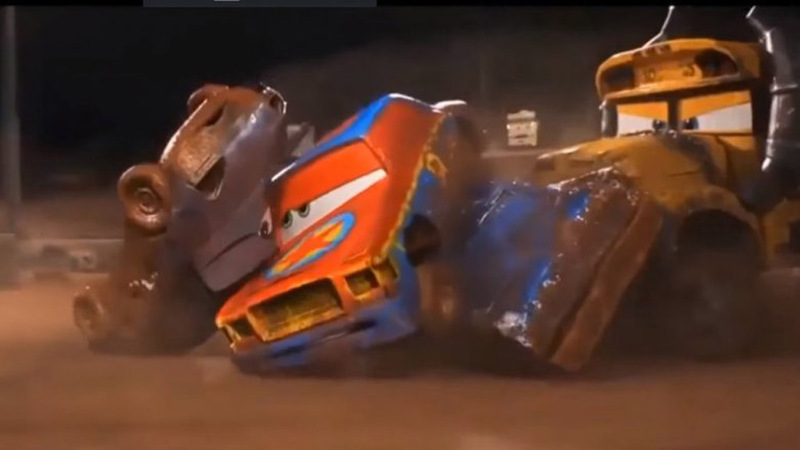 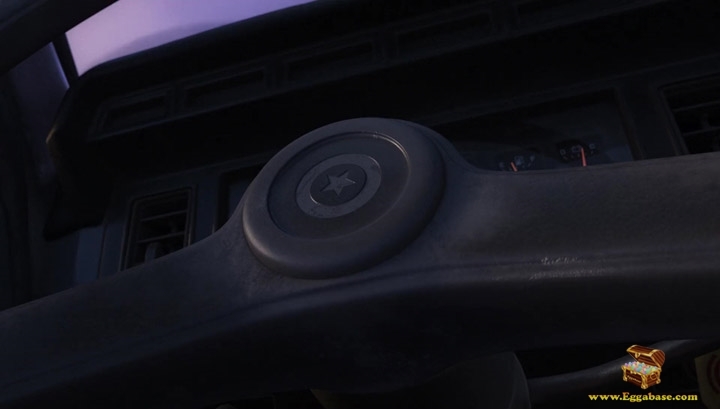 One of the easiest scenes to see the doll is when Stitch first lands on Earth. 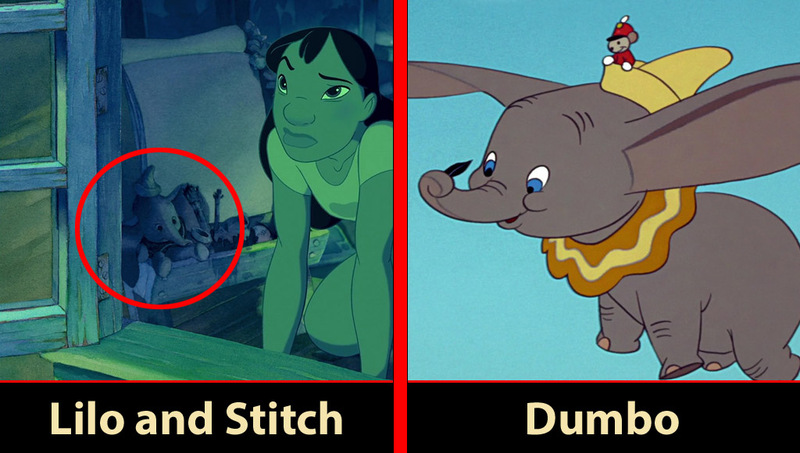 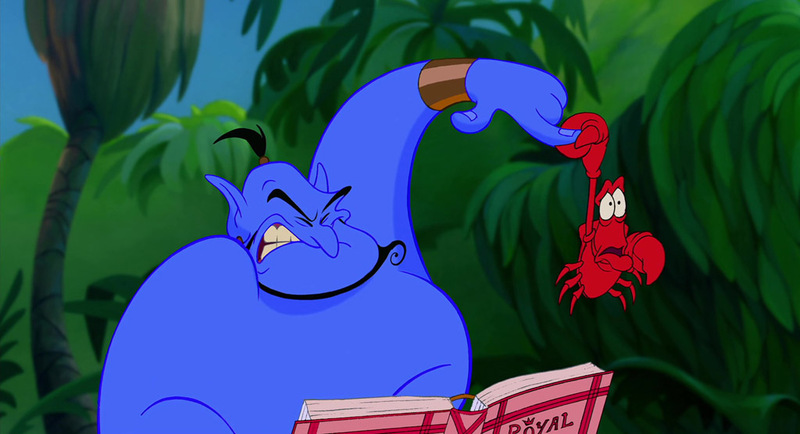 After his ship lands, Lilo and Nani rush to the window to see what it was and to the left is the Dumbo doll.